Amazing offer won't last! 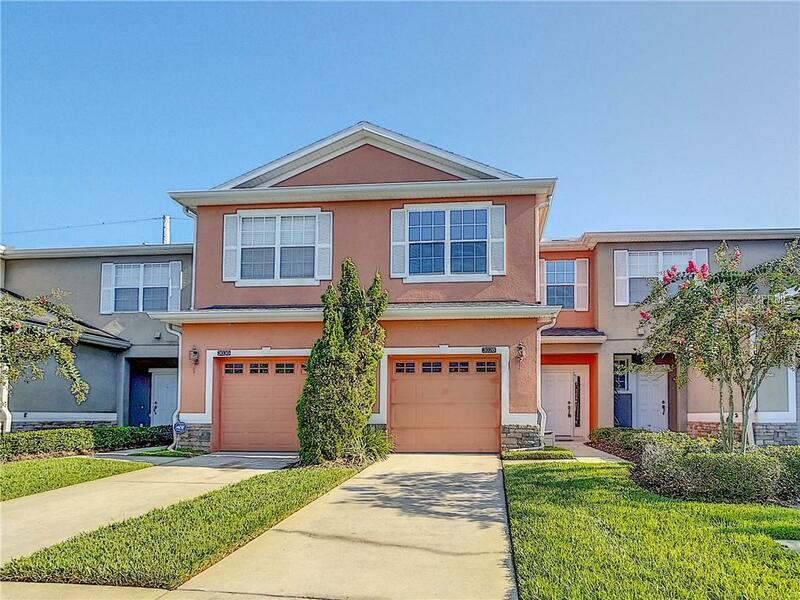 This wonderful 3 bedroom 2 1/2 bath, move-in-ready townhouse located in desirable Camden Landings at Wyndham Lakes community. This airy home welcomes you with its split floor plan, neutral decor, ceramic tile flooring in kitchen and baths, carpet in main living areas and bedrooms upstairs. Upgrades include spacious kitchen with appliances, cabinetry with lots of storage space, closet pantry and a breakfast bar. The kitchen opens to the living/dining room combo and sliding doors invite you to the backyard screened patio great for entertaining family and friends. This home also features a beautiful master bedroom with an en suite bath, dual vanity/fixtures, shower and his/her closets. Enjoy the warm Florida weather in the community pool and clubhouse. Community also offers a fitness center, basketball/tennis courts and playground. Quick access to major highways, theme parks, premier shopping and restaurants. Don't miss this wonderful opportunity call today to schedule your private viewing of this home!